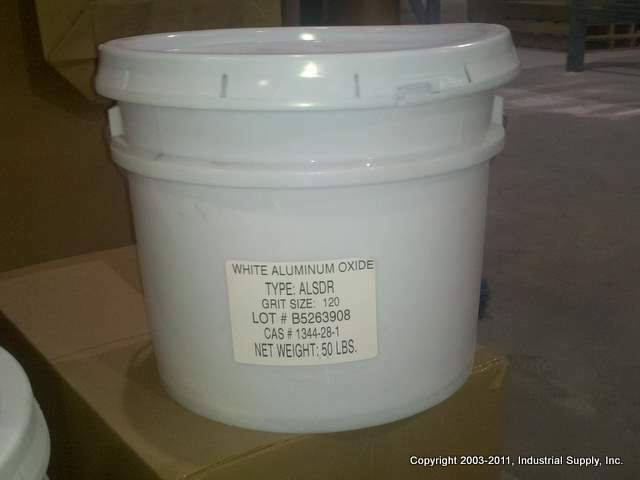 White fused aluminum oxide is a very high purity oxide, and thus recommended when contamination is an issue to be considered. It is obtained from the fusion of high purity calcined alumina in electric arc furnaces. The result is a product with high hardness, high friability, high purity, high melting point, and large crystal size. 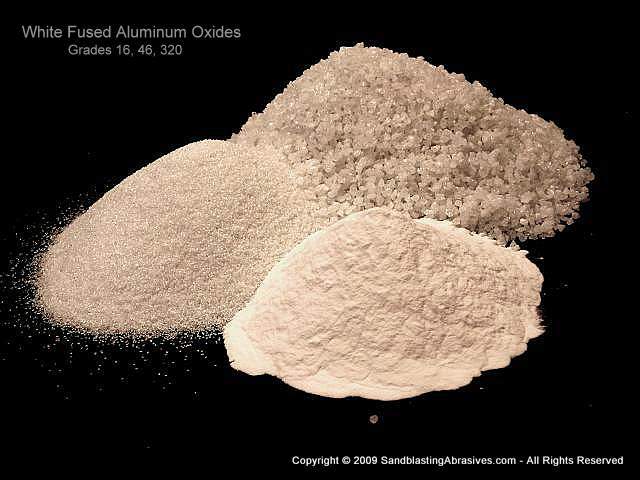 Use this page to order White Fused Aluminum Oxide Sandblasting Abrasives. Minimum order is 50lbs for coarse grades. Grades 240 & Finer can be purchased in as small a quantity as 25 lbs. See bottom of page for Quantity Discounts. High Friability - this means it will shatter on impact and break down quickly, see below. Grade Sizing & Mil Profile - These Are Approximations Only! Approximations are based on using a pressure blaster on hot rolled steel, having tightly adhering mill scale, using a 90-100 psi. Anchor patterns will vary tremendously based on other variables such as hardness & type of steel, level of corrosion being removed, blast angle, blast distance from the steel, etc. Pallet Packaging: This media is generally sold by the metric ton, or per 2,204 lbs. Also packaged in 50lb bags, 40 bags per pallet. One net ton per pallet. 400lb Drum Packaging: For a couple pennies per lb more, we can package media into 400lb drums for you. 4 drums per pallet or 1,600lbs/pallet. Please request this when you ask for a quote. Yes, we can ship a single drum if that is all you need. Loading Dock: Generally, you need to have a commercial address with loading dock to receive orders over 200lbs. If you do not, we can ship it to a local terminal and you pick it up yourself from the terminal. We can also ship to a residential address, but this generally will incur an additional freight charge.